There are, however, some definite down-sides to having free-range chickens. 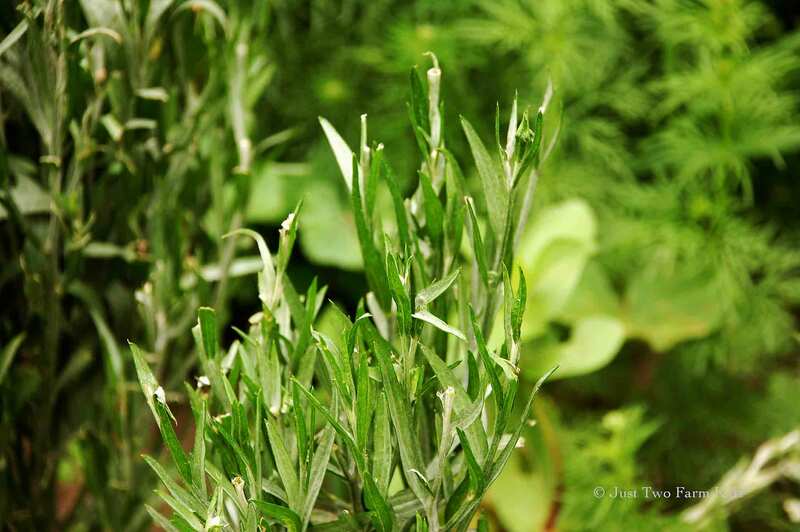 They love to eat young plant seedlings, fruit and vegetables. 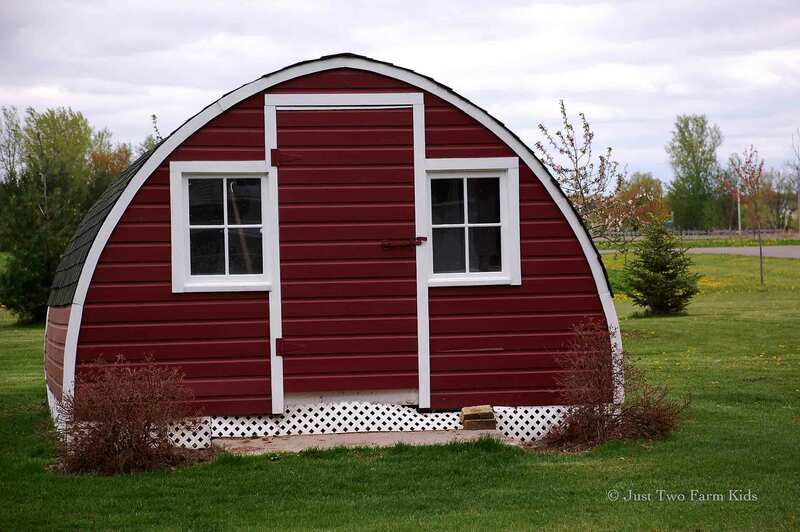 This poses some real challenges for the vegetable garden and it was one of the main motivations for us to build a 40′ x 40′ fence to enclose the garden (and the fact that our dog also likes to eat various garden produce like tomatoes and raspberries). 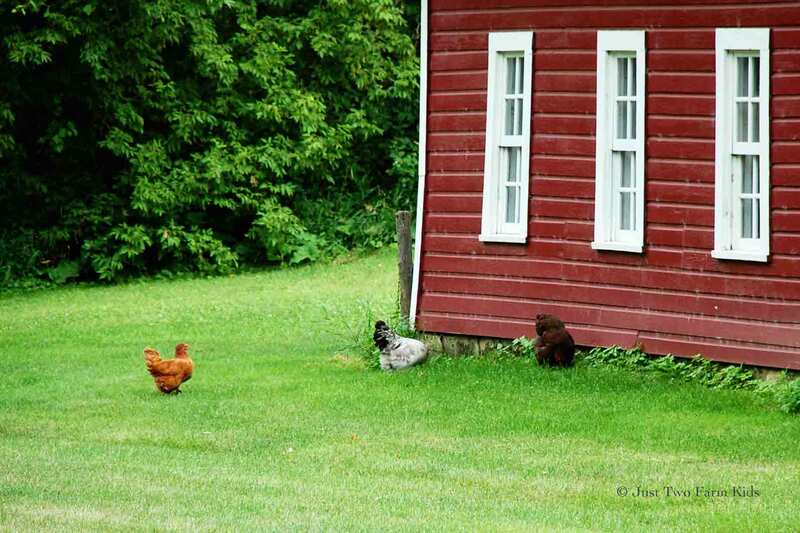 The chickens still pace around the fence, gazing inside at the produce they cannot reach. Admittedly, they look sad about their inability to penetrate the fence and access the garden, but I feel no pity for these free-ranging chickens of ours. They live a good life. We are always trying to accommodate the freedom of the chickens. 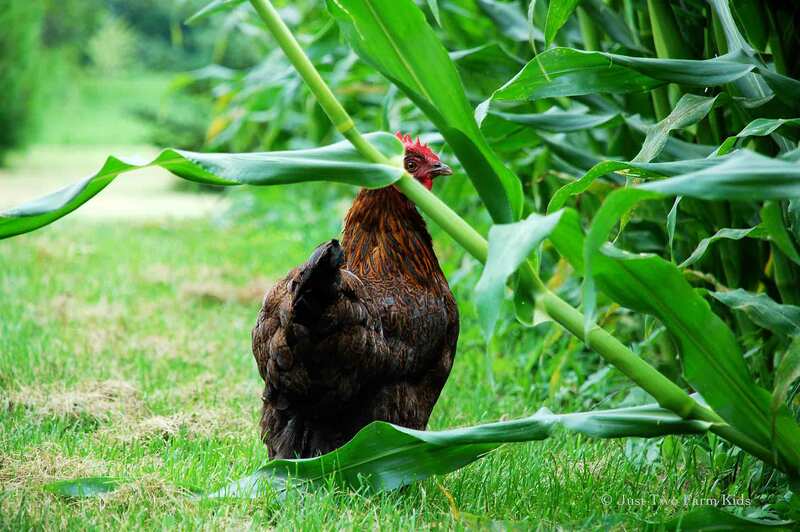 When we decided to plant our sweet corn outside of the fenced in garden area this year to free up more space, we put a small wire fence around the area to keep the chickens from digging up the seeds or eating the young plants. Once they grew tall enough, we removed the wire fencing and allowed them to wander among the cornstalks, escaping the sun and digging in the dirt for bugs and worms. It has become a favorite stop on their daily tour. Despite our efforts at giving these chickens a good life, they continue to find ways to aggravate me. 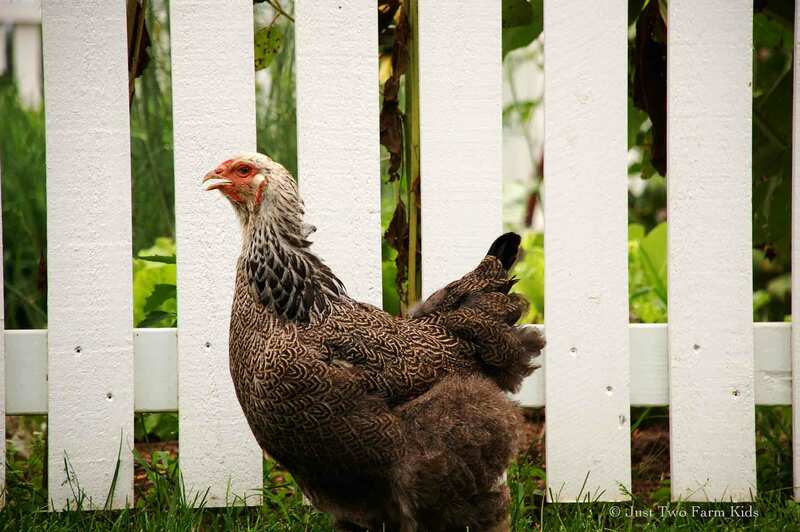 Even when I think that I have “chicken-proofed” my gardens, they will surprise me with their focused and destructive efforts. 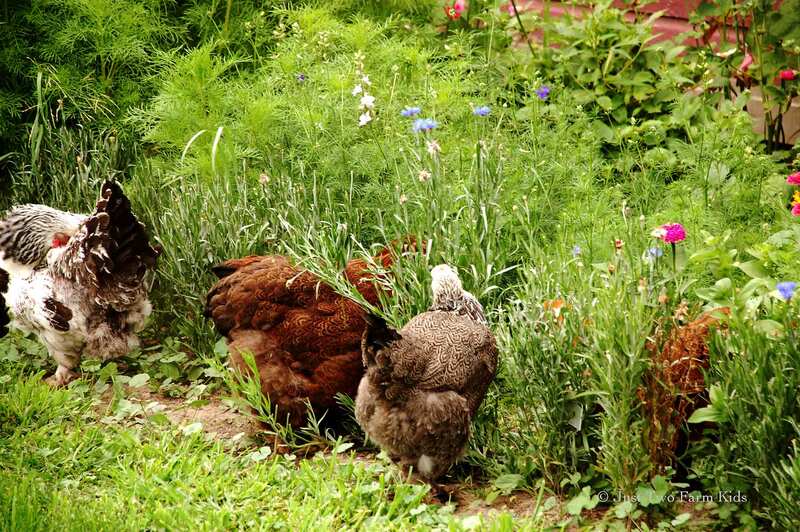 Most recently, I noticed the chickens wandering into my cutting garden where I grow various flowers for indoor bouquets. I chased them away, cursing under my breath, but noticed no readily apparent damage to the plants. 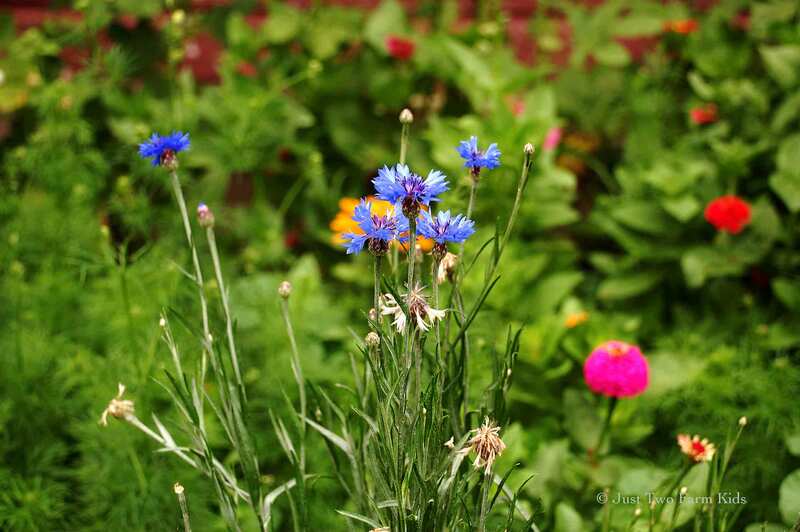 The bachelor buttons in the cutting garden had started blooming and were coming along nicely. The absence of bachelor button blue caught my attention one day, so I went over to take a closer look. The nerve of those ungrateful, pesky free-rangers! …we just might not put up with all of their mischief. 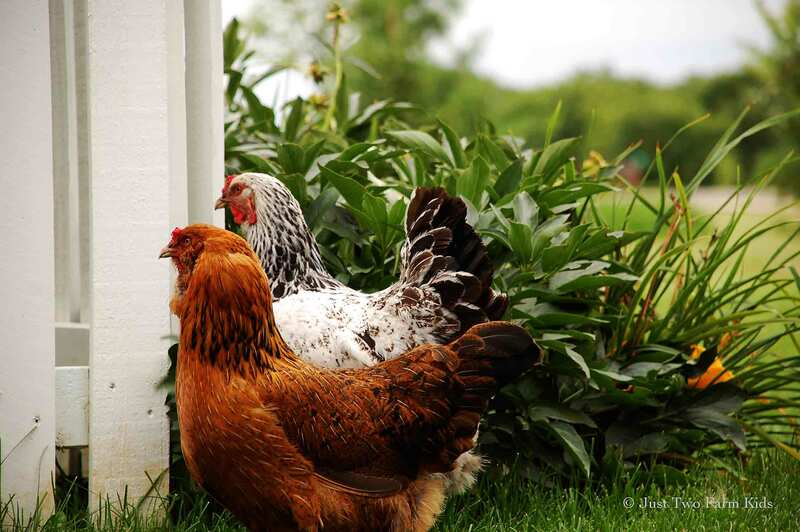 I love the photo of the 2 chickens at the picket fence. They are so cute. And I bet the eggs are fabulous. I finally gave up on free range…they drove me to distraction pooping on the front porch and getting into the garage when I wasn’t looking. They eat or peck everything. Mine are now secured within their yard except in the winter when I let them have their freedom within the fenced garden. Kim, our dog manages to keep them away from the porch and the flower gardens right by the house. I love watching them wander around the yard, but they are definitely trying my patience. I can’t wait to have my own soon! I love everything about your farm. The blue eggs looks amazing ! 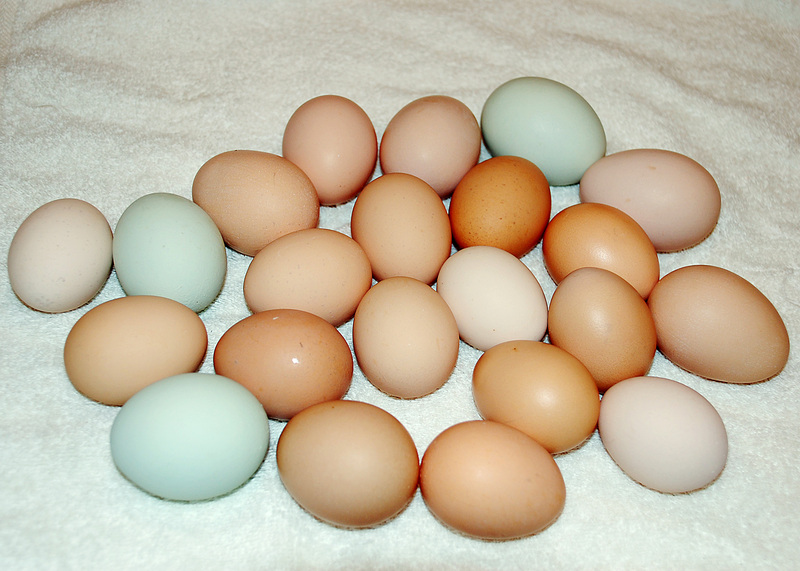 they need to get the color for those pretty eggs somewhere… I miss my free range chickens. They kept the grass free of bugs and even helped clean out the paddock for the horses. Nasty horse flies anyway, who needs them?